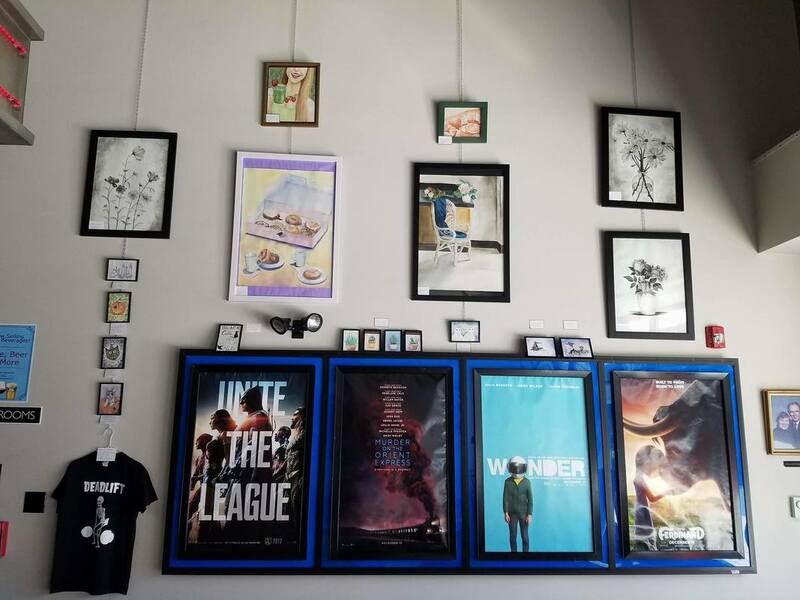 Past Event- Carrie displayed her artwork at the Pancakes and Booze Art Show at Underground Arts in Philadelphia, PA on March 16th, 2018. Past Event- Carrie had a booth for her art at the Millersburg High School Craft Fair on September 29th from 9 am to 3 pm. The event was located at the high school. Past Event- Carrie painted on the porch at the Gallery on the Square in Millersburg on Saturday, August 18th from 11 AM to 2 PM. 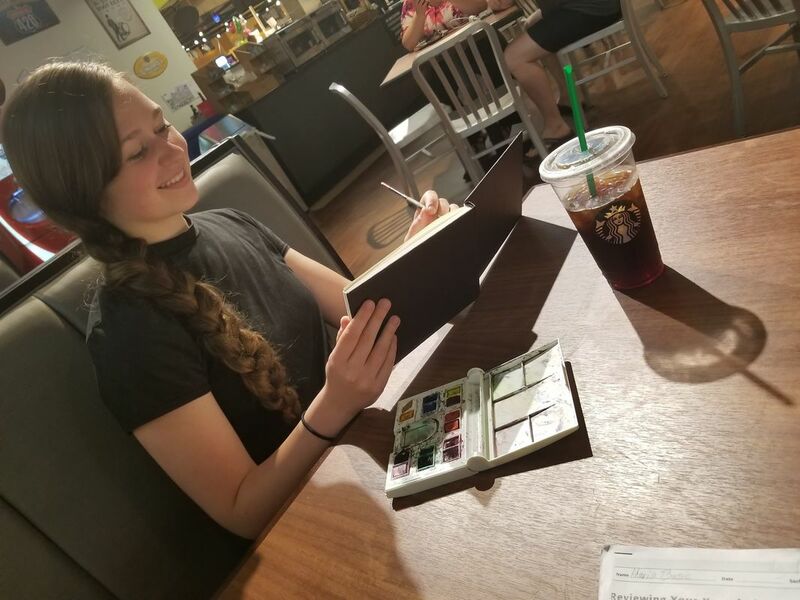 She was pleased to sell her art, paint and meet some new people! 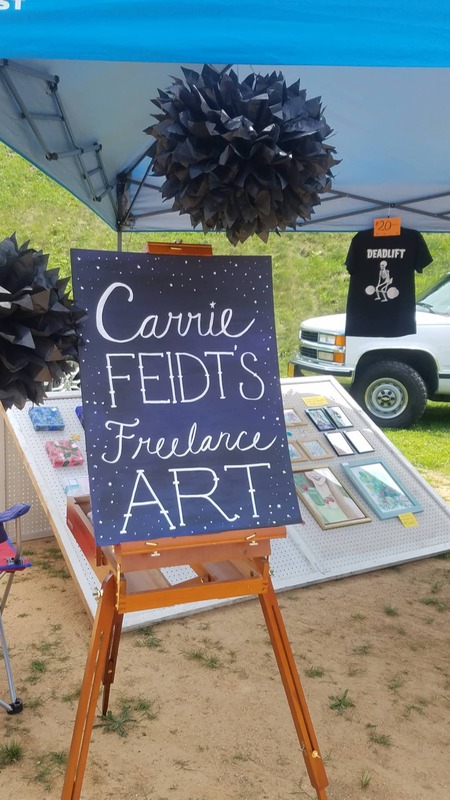 Past event- Carrie had an art booth at The Negley Art and Wine Festival in Lemoyne, PA in June of 2018. Click the button below to check out the event on facebook! < Past event in January of 2018 in Philadelphia, PA.
Past Event- 20 different paintings and prints were on display and for sale for the holiday show at the Gallery on the Square in Millersburg, PA! Some of these pieces include seasonal cat prints, an oil painting and some original cactus and succulent paintings. Past Event- Creations ranging from small $4.00 handmade upcycled cards to large 30"x22" paintings were on display at the Colonnade in Millersburg, PA throughout October, November and December 2017.